American actress Loretta Williams will appear at the 2018 Spirit of Mother Jones festival and will give a number of performances including at the formal opening in front of the Lord Mayor, Cllr Mick Finn. 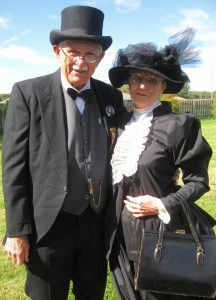 Loretta Williams, a historical reenactor from Illinois, portrays Mother Jones through fiery and original presentations. She has performed in Mt. Olive, Illinois at the Union Cemetery and Mother Jones Museum. She has also taken her presentations to various civic and cultural organizations. 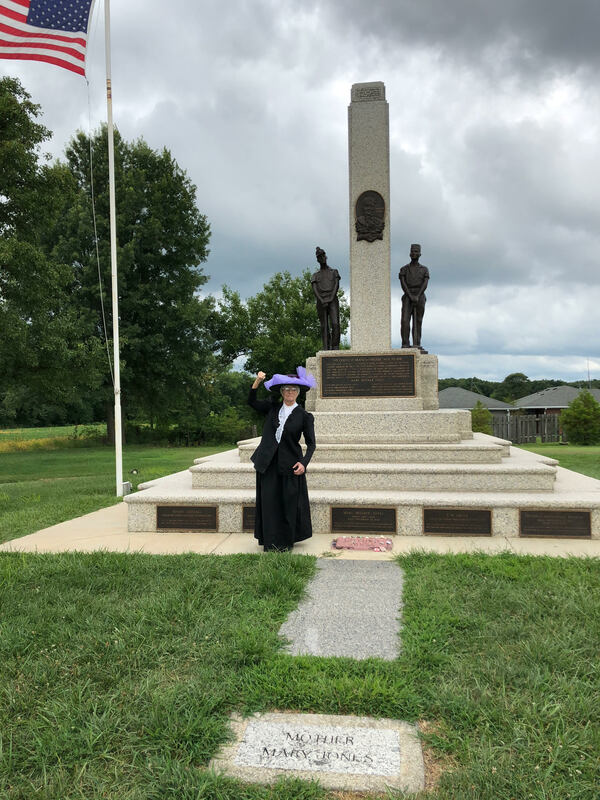 Her re-enactments of diverse historical personalities are presented through Alton Theatre’s Vintage Voices and Living History Tours for the Alton, Illinois Convention and Visitors Bureau. Loretta’s performances bring to life the personalities that helped shape the political and cultural dynamics of the Midwest. The Mother Jones Museum utilises Loretta’s Mother Jones portrayal to educate children and adults concerning the struggles experienced by miners, labourers and their families. Loretta looks forward to sharing her experiences as Mother Jones with visitors to the Mother Jones Festival in 2018. Loretta will be staying in Shandon and making appearances at the festival, so let’s ensure a warm Shandon welcome to Mount Olive’s own Mother Jones to the birthplace of Mother Jones in Cork. We the caretakers in Mt Olive, of all things pertaining to ” Mother Jones “, are very proud of Jim & Loretta. They keep our heritage front & center for the public to see & learn of their past.